Sound Insulation | Exalto Emirates LLC. Sorberfoam&trade;AGC combines the next generation of combustion modified, flexible acoustic foams laminated with a durable, flame retardant aluminium foil covered glass cloth surface covering&ndash;AGC. 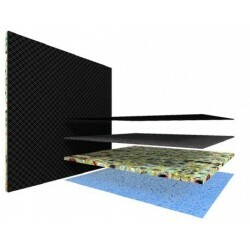 In conjunction with leading laboratories and test facilities, Pyrotek has formulated and developed polyurethane foam that outperforms traditional acoustic foams by controlling the cell size, porosity, density and the flow resistivity throughout the cell structure. Traditional polyurethane foams often break down through hydrolysis (foam rot) under hot, humid and acidic conditions. Sorberfoam AGC is engineered to resist degradation or foam rot. An aluminium foil covered glass cloth facing is laminated to the surface of Sorberfoam to alter the natural absorption curve enhancing sound absorption in mid to low frequencies. The facing also provides additional protection to the foam from mechanical stress and dirt, oil and liquid ingress and enhances the fire and thermal insulation performance of the foam. It offers higher level&nbsp; f flame resistance than Reinforced Aluminium (ALR) facing thereby enhancing the fire and thermal insulation performance of the foam. Sorberfoam has been proven to absorb substantially more energy across the entire frequency range than traditional polyurethane foams.&nbsp; Sorberfoam AGC offers an alternative to mineral fibre products that tend to shed fibres during application. The tendency for fibrous products to lose thickness over a period of time means their absorption properties will also be reduced. Sorberfoam AGC eliminates this hazard offering a safer alternative in noise absorption.&nbsp; Applications Engine rooms in boats under CE Marine Survey. Power generation units. Containerised generator sets. 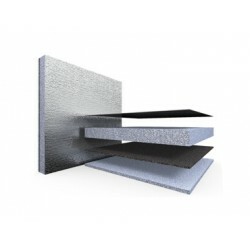 Additional thermal insulation for air-conditioning. Engine compartments and firewalls of boats. Machinery and equipment enclosures. Silentstep&reg; is a new generation of acoustic carpet underlay,&nbsp;comprising a flexible mass-loaded barrier, fused onto a high density&nbsp;premium foam underlay. The combination of these two products&nbsp;allows Silentstep to reduce the transmission of footfall and impactgenerated&nbsp;noise.Silentstep was developed to meet market noise reduction requirements&nbsp;in multi-storey living, commercial, automotive and marine markets.&nbsp;Easy to cut and lay, it offers excellent support and a firm cushioned&nbsp;base for all types of carpet applications. It is ideally suited for&nbsp;lightweight flooring constructions such as timber and marine&nbsp;applications where fibreglass and composite floor panels are used.&nbsp;When laying carpet over a floor constructed using lightweight timber&nbsp;and joists, typical standard underlay offers little effect in reducing the&nbsp;transmission of footfall and impact noise. Silentstep isolates the barrier layer from the floor structure, increasing&nbsp;the performance of the floor system between two rooms. This feature means that critical frequencies generated during speech and electronic&nbsp;audio technologies such as radio and television etc can be reduced. Silentstep products are environmentally safe, contain no ozonedepleting&nbsp;substances and comply with European and Australian&nbsp;standards for Volatile Organic Compound emissions. Applications Multi-storey living areas constructed from lightweight&nbsp;materials with the intention to lay carpet. Marine vessels to stop engine noise travelling into&nbsp;staterooms, salons, VIP cabins etc. 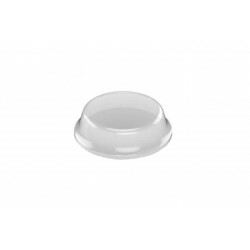 Sorbermel&reg; is a flexible, open-cell, light grey foam made from&nbsp;melamine resin. It is light-weight, flame retardant and has excellent&nbsp;sound absorption and thermal insulation properties.&nbsp; It features a three-dimensional delicate network structure of slender&nbsp;filaments. 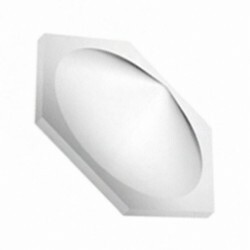 Due to its structure, it can easily be thermoformed to make&nbsp;contour-fitting parts or inserts that serve as sound insulators in several&nbsp;automotive, componentry and engineering applications . 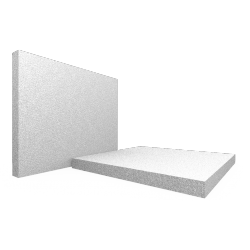 Its open cell structure enhances sound absorption and works by&nbsp;trapping noise energy thus preventing it from reflecting back as echo.&nbsp;Sorbermel is lighter, dimensionally stable and stiffer than polyurethane&nbsp;foams and hence a favoured choice in weight-sensitive applications&nbsp;and where enhanced fire safety and moisture resistance properties are&nbsp;required. Being low-weight, it contributes to the energy efficiency of&nbsp;rail and utility vehicles, enhancing passenger safety. 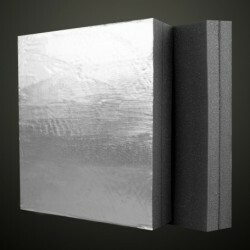 The light-weight&nbsp;foam opens up several aesthetic options when used as baffles,&nbsp;acoustic panels, or as infills with other materials to form decorative&nbsp;acoustic composites.Sorbermel can be laminated with other suitable&nbsp;acoustic products to enhance its acoustic performance to meet custom&nbsp;requirements.&nbsp; Sorbermel achieves the highest classification in fire ratings to meet&nbsp;national and international standards.&nbsp; Sorbermel&rsquo;s unique flexibility makes installation of the product easy&nbsp;using only a few basic tools. Applications Enclosures : Air conditioners, machinery and equipment&nbsp;enclosures; compressor and generator set enclosures. Industrial : Electronic and electrical equipment, wall and&nbsp;ceiling linings for plant and equipment rooms. Suited to applications requiring high fire rating&nbsp;characteristics&nbsp;The improved fire performance makes the product wellsuited&nbsp;for air-conditioning and duct work, boats under&nbsp;marine survey. 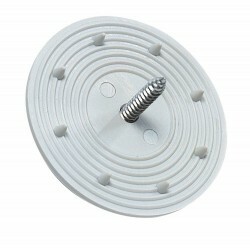 These fixing rosettes made of Polypropylene are ideal for easy installing of heavy&nbsp;sheets. They come in packs of 15 pieces (screw not supplied). 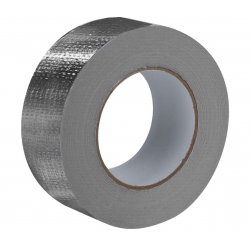 Tape ALR is a high performance insulation reinforced aluminium foil tape, designed for use as a joining and&nbsp;covering tape for Pyrotek Noise Control&rsquo;s aluminium foil faced products like Soundlag&reg;, Sorberfoam&trade;,&nbsp;Sorberpoly&trade; and Sorberbarrier&reg;. The reinforcing mesh in Tape ALR provides good mechanical stability during application and once in place&nbsp;prevents further movement. The nature of the tape is such that it provides a rare combination of high strength,&nbsp;flexibility and conformability. The pressure sensitive adhesive backing on Tape ALR which is rubber or acrylic&nbsp;based, is formulated to give high initial tack and high holding power. The backing is protected by a silicone coated, removable release paper which provides easy release properties&nbsp;and aids ease of application. Applications Pipe lagging. Machinery and equipment enclosures. Compressor and generator set enclosures. Car, boat, truck and bus engine compartments,&nbsp;firewalls and bonnets. Air-conditioning units and systems. Hydraulic pump enclosures. 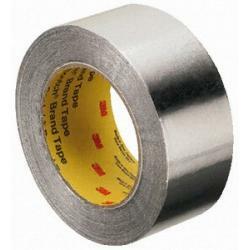 Tape GC is a high quality pressure sensitive thermal insulation joining tape with a glass cloth mesh face offered in either 120 or 220gsm. The backing is a high performance solvent-free acrylic adhesive, with an easy to remove silicone liner.which provides easy release properties and aids ease of application. ApplicationsUsed as a joining or finishing tape to seal edges and joins. Tape GC can be ideal for use on Pyrotek insulation products that have GC film facing for a matching, seamless appearance. Adheres to steel, tin, aluminium, fibreglass, PVC, polypropylene, open cell foam, fibrous, painted and powder coated surfaces. 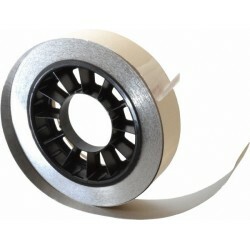 An extremely soft foil tape with a highly reflective backing that provides excellent radiation for both heat and light. Used as a mask or protective surface in paint stripping operations, as well as in electroplating. 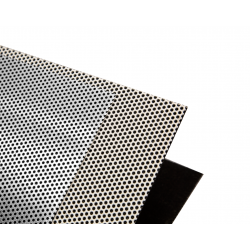 Also used for general sealing, metal patching, moisture barrier and heat reflecting. Long aging both indoors and outdoors. Thickness 110 microns. 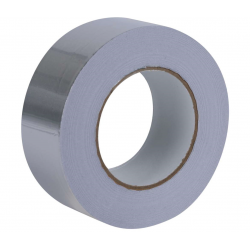 Vibration Damping Tape 435 is a low temperature, silver, dead soft aluminium foil tape. 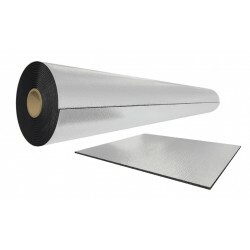 The aluminium foil constraining layer is coated with a pressure sensitive viscoelastic polymer on an easy release liner. 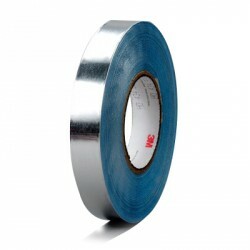 This tape absorbs and dissipates vibration, reducing noise and fatigue. 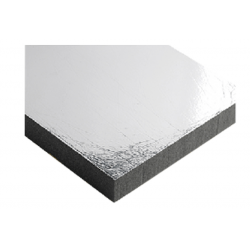 Damping foil 2552 consists of a room temperature pressure sensitive viscoelastic polymer on a dead soft aluminium foil and is designed for application to vibrating panels and supporting members. 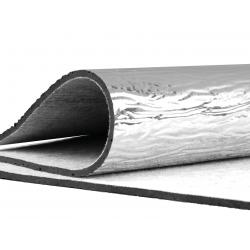 The combination viscoelastic polymer and an aluminium foil backing (a constrained layer damper, or CLD) has proved to be a unique construction with exceptional ability to control resonant vibrations in the temperature range of 0&deg;C to 60&deg;C, with survivability from -32&deg;C to 80&deg;C.